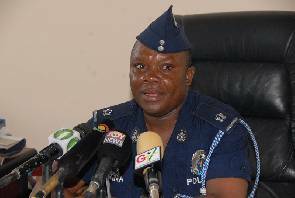 The Public Affairs Director of the Ghana Police Service, Superintendent Cephas Arthur has accused the New Patriotic Party of instigating vile media attacks to denigrate his personality after the clashes between the NDC and the NPP at the residence of Nana Addo Dankwa Akufo-Addo. 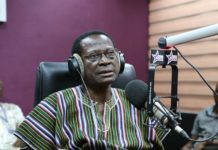 According to him, after stating the Police version of the clashes, members within the NPP hatched a plan to discredit him at various media houses. 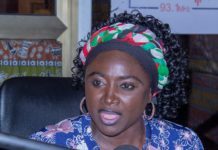 “I have been attacked severally in the past week such that a purposive communication strategy was designed about me such that people should go to the various radio stations and attack my integrity and they did so…from persons of the New Patriotic Party. “I can state that on authority, I was attacked on some radio stations, it was all over… some didn’t even bother to call to get my part except that they were so gleeful in propagating the hate attack,” Supt. Arthur told Starr Chat host Bola Ray Wednesday. Supt. Arthur added that he is unperturbed by the attacks on him and he will continue to do his work with the best of his ability. He added that he will never takes sides in political issues and will always take the side of the Police. Previous articleThousands of Ghanaian first time voters will join other eligible voters on December 7 to elect a president and 275 parliamentarians. Next articleHaruna Attah has cited key personalities within the opposition New Patriotic Party including its flag-bearer Nana Akufo-Addo as those spearheading the perceived Akan Agenda within the party.